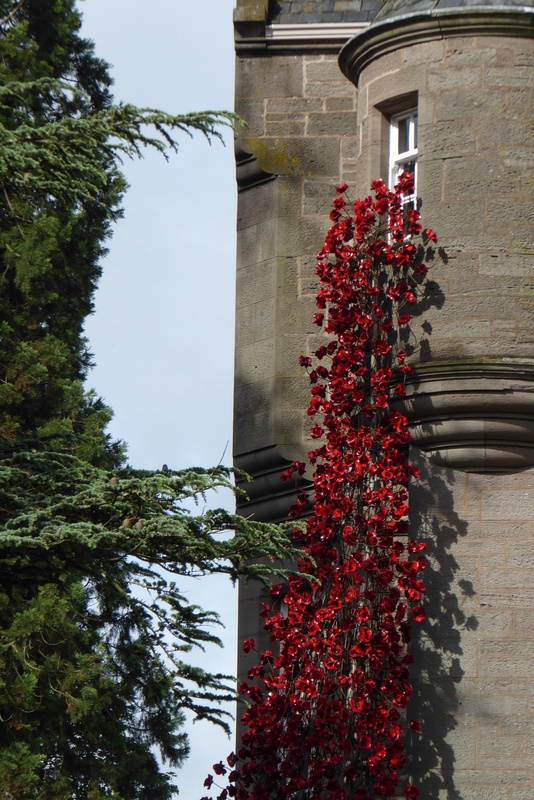 Two days ago we opened another installation, the first in Mainland Scotland, of the weeping window at the Black Watch Museum in Perth. 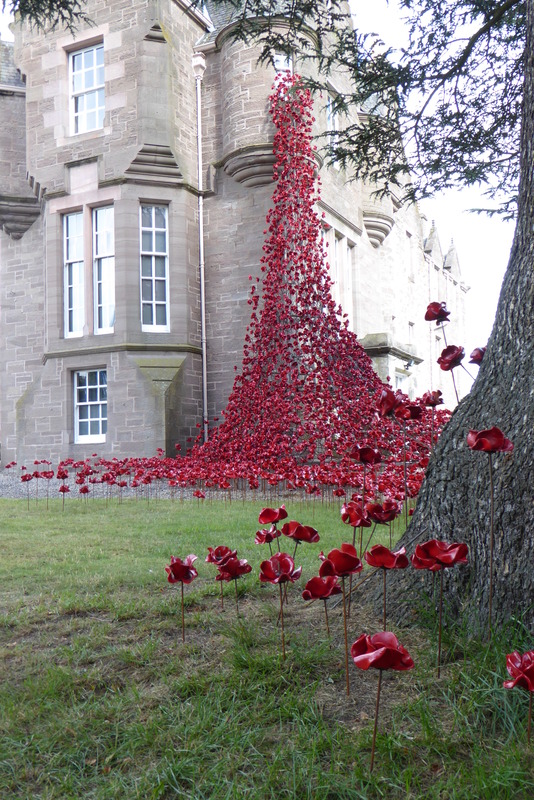 The site was chosen as having a perfect blend of Historical significance and architectural beauty. The sculpture is sited with the poppies pouring out of a corner turret on the Castle, cascading down onto the lawn below and visible, both close up and also across the park which edges the museum. I was very moved on our site visit to the museum to see how sensitively the Museum dealt with the First World war and was particularly struck with a preserved black kilt still encrusted with Flanders mud. 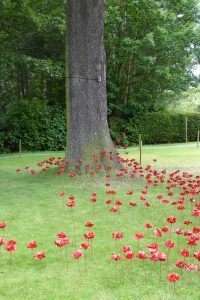 The Museum are also creating their own installation with a wooden cross and poppy, as used on armistice day, placed in a fence to commemorate 100 years to the day each soldier from the regiment that died. 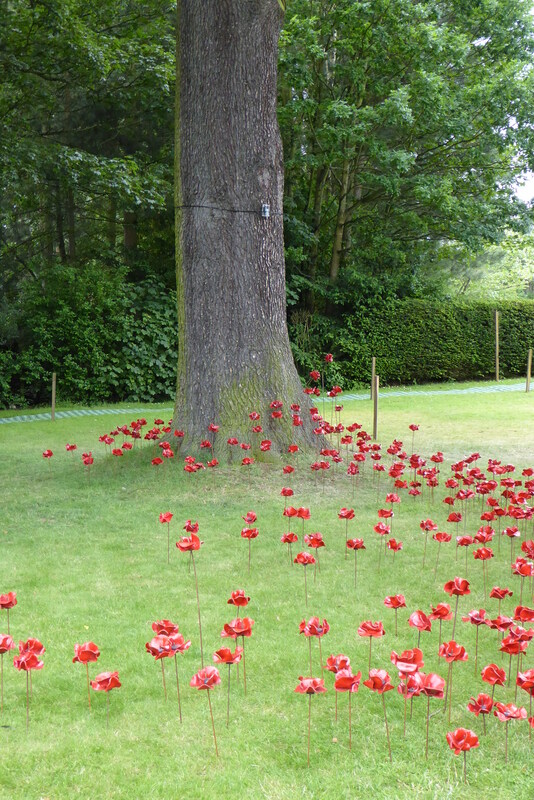 Today on the anniversary of the start of the Battle of the Somme, I am glad that we have been able to create the Poppies tour and carry on bringing the sculptures to the wider British Public. 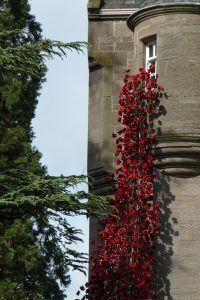 The poppies are a reminder of the terrible cost of war; a warning, a plea to not let these lives have been wasted in vain and to search for ways to share and collaborate between peoples and not to descend into hate and warfare.